Panagiotis Kalogris September 27, 2017 Are you at Risk? Age and blood pressure are closely related. Young people are not supposed to have hypertension. At least not as a consequence of aging, which is the most common cause of hypertension. Aging causes changes in blood vessel wall consistency and elasticity. This process is accelerated by lipid deposition as plaques inside the vessel lumen, mainly inside the arteries. But here is what happens sometimes. You are under 35 years old, you incidentally measure your blood pressure with grandma’s monitor and your reading is 139/89 – something very close to hypertension. She will inform you that “You were nervous since a baby” with the reminder that “Now you smoke too”. Maybe she has a point but you’d better fix an appointment with your GP. 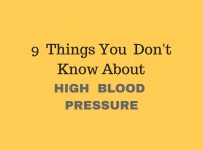 Although essential hypertension (i.e high blood pressure with no identifiable cause) accounts for the 90-95% of cases, there is always a chance that you could have a certain condition that causes your blood pressure to rise. Hypertension tends to appear more frequently after the fourth decade of life and the definitive diagnosis is established after a complete diagnostic investigation. Early onset of high blood pressure demands even more extensive diagnostic workout to rule out hidden causes of hypertension like for instance renal or endocrine disease or any other cause that needs to be cured first. This is called secondary hypertension and here are the most common causes that could lead to it. Genetic predisposition plays an essential role in the development of hypertension. A positive family history of high blood pressure increases the risk for development of vascular disease. But knowing you have a trait, although it will not prevent the condition, it would help you to prevent the early or insidious onset of hypertension. Thus, frequent blood pressure checkups and a healthy lifestyle could radically change the natural course of the disease. Obesity is the underlying reason of many illnesses and this is not known knowledge. The relationship between obesity and hypertension has been extensively studied. It has been found that obesity increases sodium retention and stimulates the release of certain gut hormones called adipokines which directly affect blood pressure. High blood pressure can be prevented or decreased, by following the Dietary Approaches to Stop Hypertension (DASH) plan. DASH plan includes lifestyle and dietary revisions that will improve blood pressure readings in about 2 weeks. Tobacco use, either as cigarettes or chewing tobacco is one of the main causes of high blood pressure. In long-term smoking affects blood pressure as a result of progressive damage to blood vessels. In short term, smoking rises blood pressure are the result of vessel contraction and changes in brain chemistry. This is the result of nicotine which is biochemically similar to a neurotransmitter called achetylcholine. Nicotine also binds to achetylcholine receptors inside the tiny muscles of arteries and thus becomes able to control blood vessel contractility. Some contraceptive pills may slightly increase blood pressure. Progestogen-only pills seem to have no effect on blood pressure. For women on contraceptive pills it is advised to closely monitor their blood pressure. Many women with high blood pressure can take the oral contraceptive pill but will need to have their blood pressure closely monitored. Certain allergy medications either over the counter or prescription are responsible for rising blood pressure. Cocaine as a powder is either inhaled and absorbed through nose, or injected into the bloodstream dissolved in water. Crack is produced from cocaine crystallization and can be smoked. Even recreational use of cocaine has been found to raise blood pressure and harden blood vessels. Cocaine is called by researchers “the perfect heart attack drug” because regular users present higher rates of certain risk factors, like increased systolic blood pressure (8mmHg higher), stiffer aorta and thicker left heart ventricle. Amphetamines, are drugs prone to abuse. These drugs are central nervous system stimulants and are prescribed for Parkinson’s, obesity, and attention deficit-hyperactivity disorder (ADHD). The kidneys have the main role in the blood pressure regulation. Blood pressure control through kidneys, is exerted through blood volume and electrolyte regulation and the release of certain hormones that affect blood pressure. Endocrine glands largely affect blood pressure values throughout the day. Thyroid gland disease, especially hypothyroidism, could be a cause of hypertension. Due to its subtle symptoms it often remains undiagnosed for years. 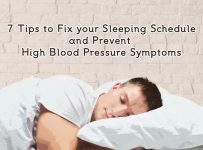 Read more about Thyroid Disease and High Blood Pressure. Adrenal gland disease like pheochromocytoma, is a rare benign tumor and a possible cause of high blood pressure. Although the tumor can develop at any age, most people with a pheochromocytoma are between the ages of 20 and 50. After surgical removal of pheochromocytoma, blood pressure returns to normal.